LAKE BUENA VISTA, Fla. — Kevin Molino’s late-game equalizer salvaged Orlando City SC a 4-4 draw vs. the New York Red Bulls on Saturday night, during closing night of the Disney Pro Soccer Classic at the ESPN Wide World of Sports. Both teams declined to finish the game in a penalty shootout, resulting into sharing third place in the preseason tournament. Adama Mbengue found the Trinidad & Tobago international on the counter, which resulted into Molino sliding the ball past NYRB goalkeeper Luis Robles. Despite going into halftime even 1-1, second-half substitute Dennis Chin scored two minutes into the match, heading in a close-range ball off a corner kick taken by Austin da Luz. However, five minutes later Wright-Phillips scored his second and equalized after a counter-lead by Sam found the Englishman who’s shot deflected off an Orlando City defender. Goals kept coming, Red Bulls defender Ibrahim Sekagya gave New York the 3-2 lead in the 68th minute after Dax McCarty’s free-kick found Wright-Phillips, who’s shot got deflected which left the ball alone for Sekagya to execute on the error. Despite having already a goal, Dennis Chin left the game in the last 10 minutes after what it looked to be a leg cramp had the forward laying on the field, which resulted into defender Joseph Toby substituting in. “He’s got a little slight pull, he should be okay,” said Heath on Chin’s injury. With the Lions trailing, Adama Mbengue equalized for OCSC when his screamer from long range beat goalkeeper Luis Robles in the 76th minute for the 3-3 tie. Midfielder Jonny Steele gave the Red Bulls the lead again in the 80th minute after another defensive miscue gave the Northern Irishman the opportunity to slide the ball past Gallardo for the 4-3 lead. 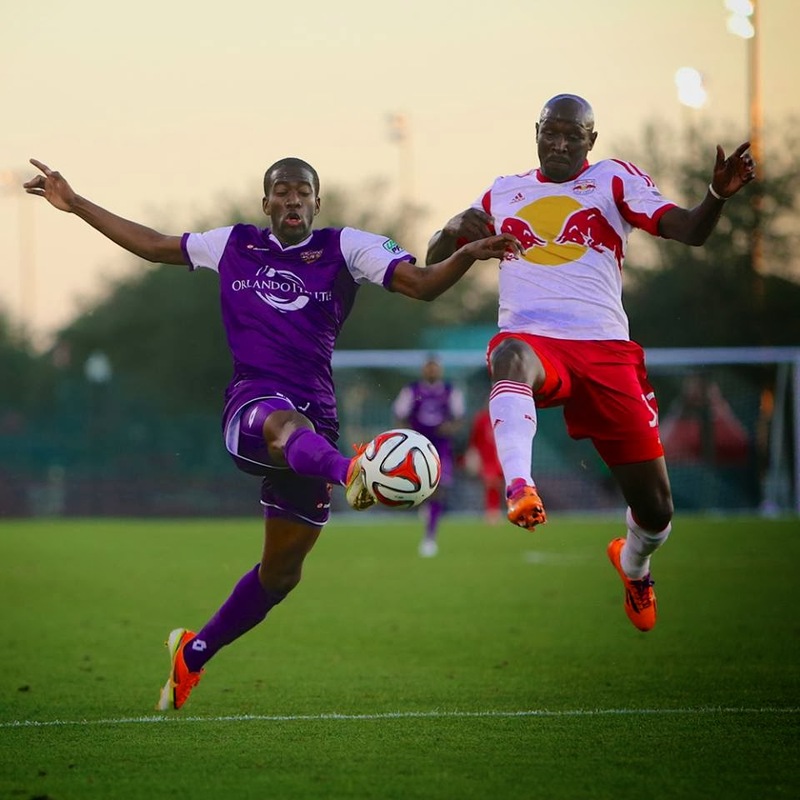 However, Molino’s goal five minutes later negated the Red Bulls the victory for the 4-4 draw. Up next, the Lions play a variety of collegiate friendlies when they take on the Florida International University Panthers on Saturday, March 8 at the Seminole Soccer Complex.